A few years ago, when the economic situation was looking really dire, some clever person coined the term “staycation,” referring to an economical, stay-put solution to the desperate desire to get away. Vacationing without leaving home caught on, and it’s still going strong. Here are nine budget-minded ideas (and more than 30 destinations) for looking anew at Colorado, and discovering what makes it such a great place to live and play, all in or near the Denver area. Between the low-cost or free admission and Colorado’s enviable spring weather, a nature center might be the staycationer’s first stop. These locales offer self-guided or ranger-guided tours, by foot or vehicle, and allow you to see animals in their natural habitat. At any moment, an owl could fly overhead or a deer could dart across your path. Some to seek out include Majestic View Nature Center (7030 Garrison St., Arvada; 720 898-7405), which has hands-on environmental displays, wildlife exhibits and a kids area; Morrison Nature Center at Star K Ranch (16002 E. Smith Road; 303-739-2428), where the attractions include a field guide library and songbird feeding station; or Rocky Mountain Arsenal National Wildlife Refuge (6550 Gateway Road, Commerce City; 303-289-0930). This wartime weapons manufacturing center caught the eye of the U.S. Fish and Wildlife Service in the 1980s after it was discovered that more than 330 species of wildlife inhabit the area, including bison, coyotes, raptors, mule and white-tailed deer, and many songbirds. Cameras, binoculars and video cameras are welcome, and an inviting new visitor center details the site’s history from homestead to Superfund cleanup to sanctioned animal refuge. Become immersed in the past at a living-history museum, or explore buildings from different historic periods. At such locales, it’s common to find “enactor” guides in period costume giving demonstrations or tending animals and crops. Time-travel on the cheap — several historic sites have free admission — at the Littleton Museum (6028 S. Gallup St., Littleton; 303-795-3950), where on chilly days visitors may find a fire burning in the hearth of an 1860s cabin; at Walker Ranch above Boulder, an 1880s homestead and former cattle property that’s now county open space; at the pioneer-themed Four Mile Historic Park (715 S. Forest St.; 720-865-0800) on the banks of the Cherry Creek River; or at the Plains Conservation Center (21901 E. Hampden Ave., Aurora; 303-693-3621), which hosts nature walks, birding events and kids classes. With much respect to Denver’s major cultural institutions, Colorado also boasts a number of small niche museums. Several are free, inexpensive or have regular free days. The Museum of Outdoor Arts (1000 Englewood Parkway, Englewood; 303-806-0444) aims to synthesize fine art, architecture and landscape design; the Washing Machine Museum (located at the intersection of Weld County Roads 74 and 31, about 3 miles west of Eaton; 970-454-1856) is one man’s collection of more than a 1,000 restored and vintage washing machines; the University of Colorado Museum of Natural History (Henderson Building, 15th Street and Broadway, Boulder; 303-492-6892), which is currently hosting the eco-minded exhibit, “The invisible connectedness of things”; or the Denver Museum of Miniatures, Dolls and Toys (1880 Gaylord St., 303-322-1053), where beloved childhood toys are elevated to art, and workshops are inexpensive. The neighborhood park is great but for a change of scenery, check out where other people go to slide, toss the football around, and sun themselves. Belleview Park (5001 S. Inca, Englewood) has a petting zoo and a miniature train; Westlands Park (5701 S. Quebec St.; Greenwood Village) boasts three different age-appropriate playgrounds; and Fossil Creek Park (5821 S. Lemay Ave., Fort Collins) lets you play among the dinosaurs. We live in the West, after all, so connect with the heritage. 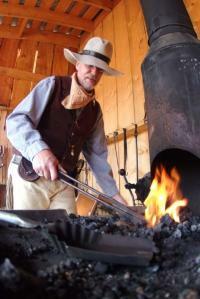 The Ghost Town Museum (400 South 21st St., Colorado Springs; 719-634-0690) is modeled after a frontier town and hosts gun-slinging re-enactments and gold panning. Visitors will know the hard life of a high-country Gold Rush-era mining town after a visit to the Cripple Creek District Museum (located at Fifth and Bennett streets, Cripple Creek; 719-689-2634 ). And you can practically hear the echo of boot spurs as you mosey along the authentic boardwalk in Grand Lake. Explore the inner workings of a busy factory. Most factory tours are free but may require reservations. The Hammond’s Candies (5735 N. Washington St.; 303-333-5588) and Celestial Seasonings (4600 Sleepytime Drive , Boulder; 800-351-8175) tours promise delectable samples. Or, get a private look at a popular public attraction by touring Coors Field (2001 Blake St.; 303-292-0200); the Governor’s Residence at the Boettcher Mansion (400 E. Eighth Ave.; 303-866-5344 or 303-866-4686) or the Colorado Capitol (303-866-2604). Hotels have embraced the staycation concept for the extra guests it brings in. To make the idea even more economical, many also have packages for couples and families that include hotel extras, event tickets or toys and books for the kiddos. At YMCA of the Rockies Estes Park, their Super Value rates are kicking off: Cabins start at $99 per night and lodge rooms $70/ per night. The YMCA of the Rockies is also offering a lodging special: stay two nights in a cabin or lodge room and get a third night free (restrictions apply). Embassy Suites Denver Downtown launched a new Family Getaway package that includes accommodations in a spacious suite with a separate bedroom and two queen beds, a pizza party including two 10-inch pizzas with toppings, a chicken quesadilla and four sodas, four tickets to the History Colorado Center, full complimentary cooked-to-order breakfast and complimentary cocktails and hors d’oeuvres at the nightly Manager’s Reception. Prices start at $239 per night for a family of four. Never mind the sulfur smell; enjoy the healing properties of Colorado’s natural, mineral hot springs. Indian Hot Springs (302 Soda Creek Road, Idaho Springs; 303-989-6666 ) is a quick drive from downtown Denver. But go about an hour more into the mountains to picturesque Hot Sulphur Springs (located just outside of Granby at 5609 County Road 20; 800-510-6235) when you really need to unplug. 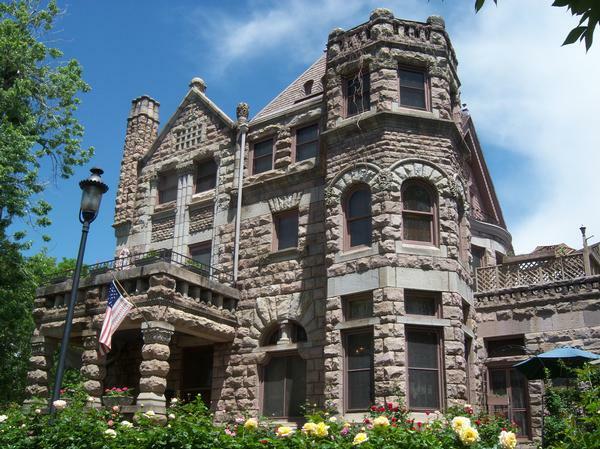 Colorado has a surprising number of castles that are the stuff of fairy tales. Some are private residences, offices or event spaces. 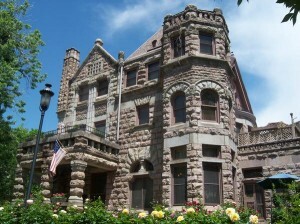 Enjoy a tour and a spot of tea at the Miramont Castle Museum (9 Capitol Hill Ave., Manitou Springs; 719-685-1011). Or better yet, live like royalty if only for a night at Castle Marne (1572 Race St.; 303-331-0621), a bed and breakfast housed in an 1889 mansion. Double the pleasure, double the fun. For more spring break ideas, checkout Choose Your Own Denver Adventure–Localized Ideas for Spring Break 2013. Makes me so excited to live in Denver and for Spring Break. This is our first spring break in Denver. I am looking forward to my kids having two weeks off and exploring the city some more. For us, it will be just as exciting as planning a trip!